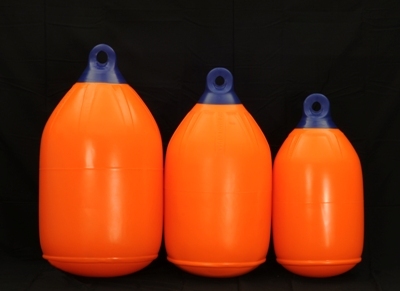 Mondo Low Drag Hydrofloat Buoys, with�an exclusive design, were configured to minimize drag associated with buoy retrieval, making a tough job easier. 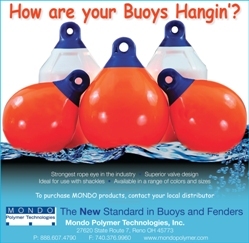 All of Mondo�s Hydrofloat Buoys are constructed from the highest quality marine grade vinyl along with the same high quality injection molded rope eyes used in our Commercial Buoys. The Hydrofloat buoy, when used with our Commercial Buoy, is the perfect fit for use with crab pots, traps and other gear.� Other usages for the Mondo Hydrofloat Buoys include:use as a fender and wherever low drag buoys are required.